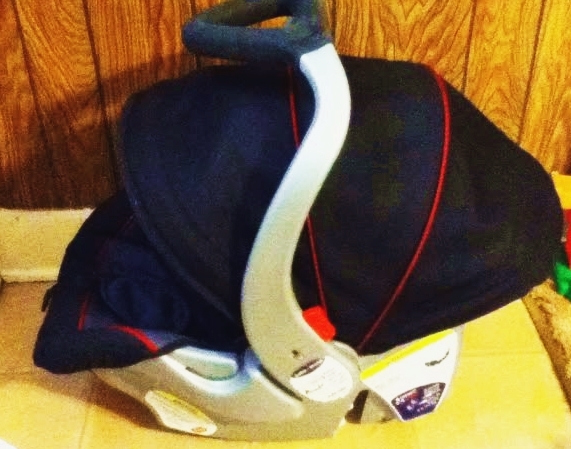 Baby Trend Flex-Loc Infant Car Seat Review - it's BABY time! As of April 4, 2014 there was a massive recall* on infant car seats. It seems as though every time you turn around something else is being recalled that we trust our children’s lives in. In fact, the Evenflo car seat we had previously used for our first child made the list due to possible separation of the car seat from the base in an event of a side impact collision. Fortunately we never had the experience to find out. With that being said, I had to look into a new seat for our second child and quite honestly it was a great decision which brings me to my Baby Trend Flex-Loc Infant Car Seat review. *Always check the latest car seat recalls to ensure your child’s safety. We will never review or recommend products that are currently on recall; however a product we’ve mention may become recalled after the time the article was written. 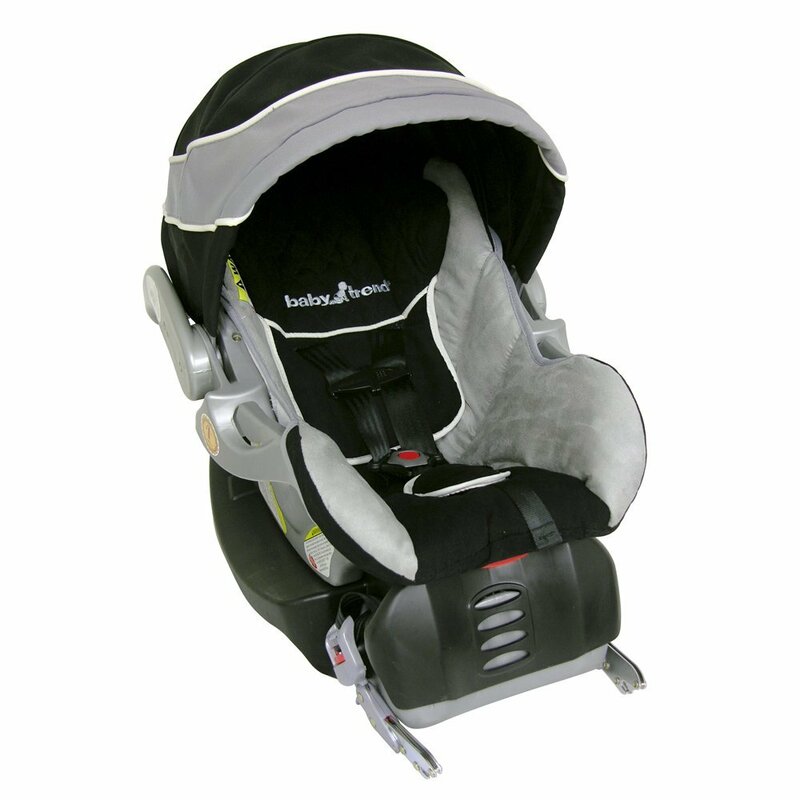 Always register your car seats as well as other infant gear immediately after purchasing to get updates from the manufacturer should your product become recalled. I have used and reviewed various types of car seats over the years and this is definitely one of my favorites. First and foremost, it has great safety ratings from Consumer Reports with EPS energy-absorbing foam for side-impact protection. It was very simple to install in our vehicle with level indicators that suggest the proper recline position for each stage. Unlike the seats we had before, you can adjust the height position by pushing a button on the base rather than using a rolled towel underneath. Similarly to our other seats, it’s easy to remove from the base and switch out between vehicles. The carrying handle is much more comfortable to carry with a unique triangle design and unlike other seats, features a rubberized grip to keep it from slipping. Another factor I really liked in comparison to other brands is the oversized canopy. It comes out farther than standard canopies to offer better protection against the sun and it stays in place much better. Like most car seats these days, it has a one-handed strap adjustment in the front that you pull to tighten and push a button located under the flap to loosen. With the model we have we still have to rethread the straps in the back to adjust the height of the straps as baby grows, but it’s really easy as well. The buckle for the bottom part of the 5-point harness strap is a little tricky at first to figure out because you have to place one part over the other to fit them together properly to buckle in. One neutral aspect I had was the buckle for the bottom. It is made out of plastic rather than metal like most car seats, which is both good and bad. The plus side is that being plastic you don’t have to worry about it burning your child’s leg if it touches when putting them into the seat after it’s been in a hot car all day. The downside is durability is a concern. Plastic can wear down over time making it susceptible to breaking, especially when frequently exposed to the sun’s UV rays, so I do have some concerns as to how durable it will stand up over a long period of time (for the duration one child will stay in it doesn’t concern me but it may not be as durable for use with a second child). I had two main negative concerns to this car seat, the primary complaint being the harness. 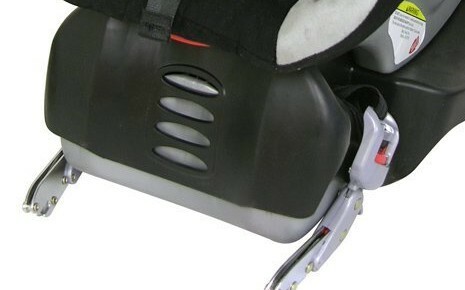 Initially the straps are easy to adjust from the front tether strap. After some time, the button you press to release tension starts getting a little stiff. This makes loosening the straps a bit of a pain. The other drawback for me is that it wasn’t compatible with the current stroller we had from our travel system. This wasn’t a big deal as I just transferred my son into the stroller itself once he was big enough for it – being our second child I wasn’t willing to buy a new stroller for the few months I would have snapped the car seat into it. It is compatible with the Baby Trend Expedition ELX stroller as featured in our Best Strollers Guide, which you can also find other strollers that accept most major brand names. I’d also like to add to my Baby Trend Flex-Loc Infant Car Seat review some comments from other moms based on their personal experience with this particular model. *These reviews have been paraphrased for your convenience. You can read their full reviews here. To conclude my Baby Trend Flex-Loc Infant Car Seat review, I must say that I preferred this car seat over any other I’ve previously had. It was much easier to use and more comfortable to handle, but most importantly meets safety standards to keep your baby safe in a vehicle. For the price we paid it was a very good value, especially compared to the higher-end models that cost twice as much and I would definitely recommend it. This car seat is nice. I bought a similar one recently from https://www.sinkboss.com/ at a very good price. They’ve got quality baby products as well. I think I have to order for this one also from them. Thanks for the review.